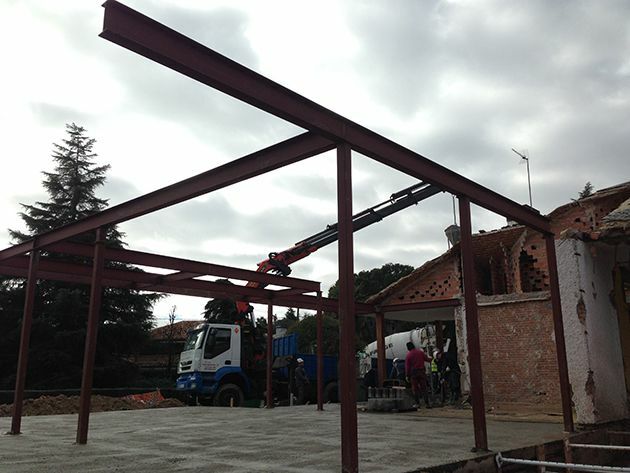 Antana has commenced a residential construction project, constisting of home improvement activities of a single-family house in an exclusive residential area in northwest Madrid. Work is being undertaken using the integral turnkey renovation way of thinking, during which we take care of all the architectural and construction works from the moment the client decides to renovate, extend, refurbish or construct his or her home, until it is completed. The renovation of this building involves increasing the area of the ground floor and terraces. The first processes completed were demolition, then the laying of foundations and the structure of the extended area. In coming posts, we will continue to let you know about how the renovation is progressing and some of the technical solutions we are employing. If you would like to see some of the home improvement projects we have carried out using this integral turnkey way of thinking, you can find more information by clicking visiting our blog.